PRINCE FREDERICK, Md. 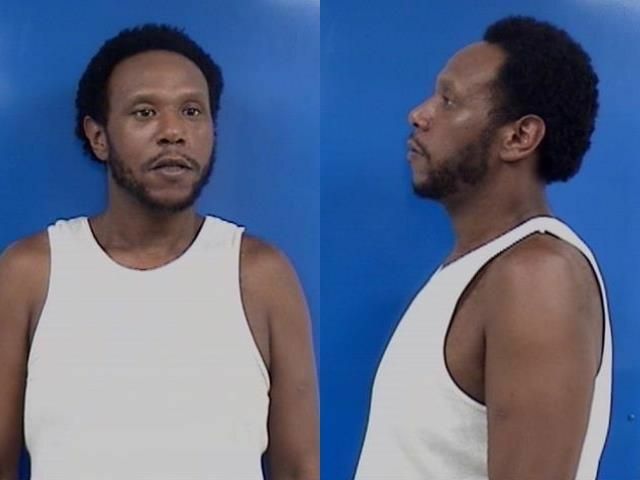 (July 31, 2018)—The Calvert County Sheriff's Office released the following arrest reports. ILLEGAL DRUGS: On July 2, Deputy Rediker responded to Mandela Court, Port Republic in regards to a suspicious vehicle/person. 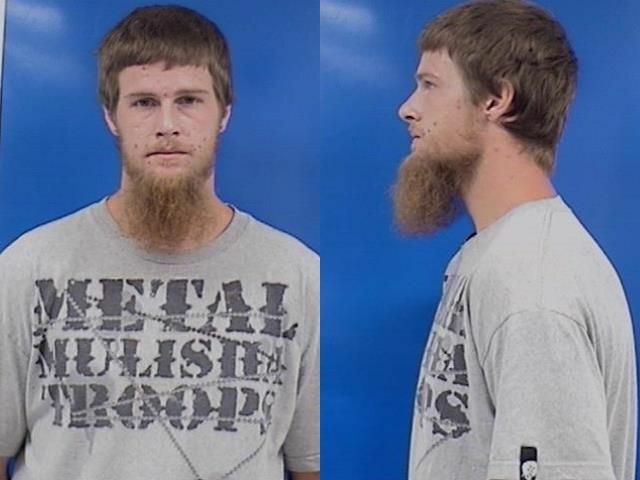 He made contact with the suspect, Steven Kartney Smith, 29, who was smoking marijuana. A search of Smith's person revealed a baggie of marijuana, a blue pill wrapped in plastic, brass knuckles, and two cut straws with CDS residue. Emergency Communications advised the suspect had an open warrant through Baltimore County. Smith was placed under arrest and transported to the Calvert County Detention Center where he was charged with CDS: Possession of Paraphernalia, CDS: Possession-Not Marijuana and Concealing a Dangerous Weapon. GRANDSON FLIPS OUT: On July 2, 2019 Deputy Rediker responded to Cassell Blvd, Prince Frederick in regards to a mental subject. The victim advised her grandson, Darkari Nivek Milburn, 18, has been acting extremely disorderly and damaged all of her belongings within the residence. Milburn continued to be argumentative and make derogatory threats towards the officers. He was placed in the back of Deputy Rediker's vehicle and began hitting his head against the window in a violent manner. 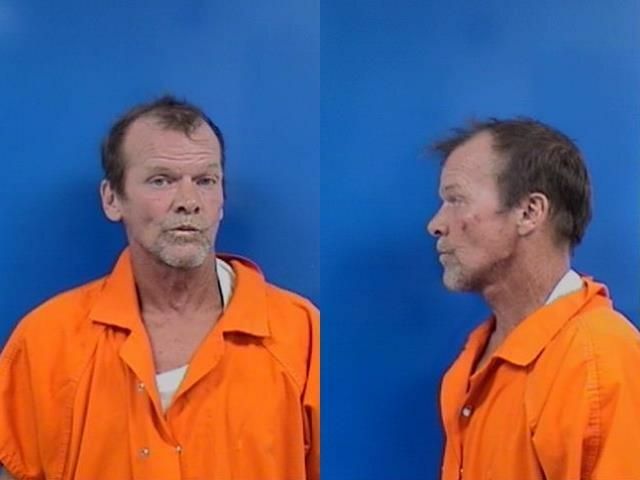 Milburn was transported to the Calvert County Detention Center and charged with Arson/Threat. ILLEGAL DRUGS: On July 6, Deputy Sampson conducted a traffic stop at Traskers Blvd and Route 4. The driver, Francesca Santini, 27, gave consent to search the vehicle. Deputy Sampson located burnt copper in the passenger side door, a glass pipe with burn marks at both ends, and a napkin that contained small nuggets of suspected crack cocaine in her purse. 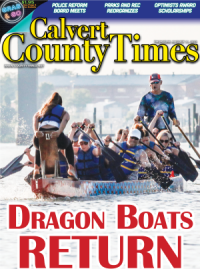 Santini was transported to the Calvert County Detention Center and charged with CDS: Possession-Not Marijuana and CDS: Possession of Paraphernalia. ILLEGAL DRUGS: On July 7, Deputy Ridgely responded to Well Street in Huntingtown for the report of a vehicle theft. The victim advised she bought a 2010 Mercury Milan for her grandson, Sean Michael Tettimer, 25. Tettimer advised he gave the vehicle to one of his friends for the day for $200, but did not know the friend's name. Deputy Ridgely noticed a cut straw on the floor, and Sean advised he snorts Fentanyl. The CDS was packaged and transported to the Calvert County Sheriff's Office. 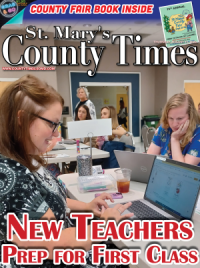 Tettimer was transported to the Calvert County Detention Center and charged with Theft: $1,500 to Under $25,000, CDS: Possession-Not Marijuana and CDS: Possession of Paraphernalia. ILLEGAL DRUGS: On July 7, Deputy R. Shrawder conducted a traffic stop at HG Trueman Road and Route 4. The driver, Nichole Hobar, 37, was shaky and her speech was slurred, therefore, she was asked to exit the vehicle for a field sobriety test. Inside the vehicle, numerous pill bottles were discovered as well as three cell phones and a large amount of cash. 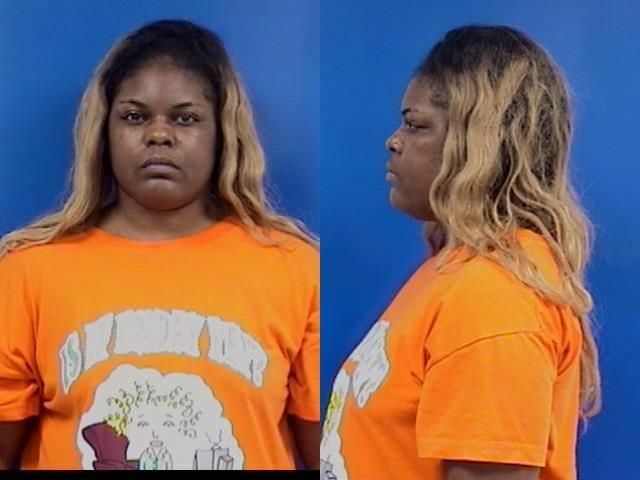 Hobar was placed under arrest and transported to the Calvert County Detention Center where she was charged with CDS Possession with Intent to Distribute. ILLEGAL DRUGS: On July 9, Deputy Rzepkowski responded to Terri Lane, Huntingtown for a disorderly subject. Emergency communications advised the suspect, Jerome Kyler, 25, was high and being destructive in the house. Deputy Rzepkowski made contact with Kyler and placed him in handcuffs. A search of his room and belongings revealed drug paraphernalia including a glass pipe with burnt residue, a needle that was filled with a liquid substance and two prescription bottles filled with urine. 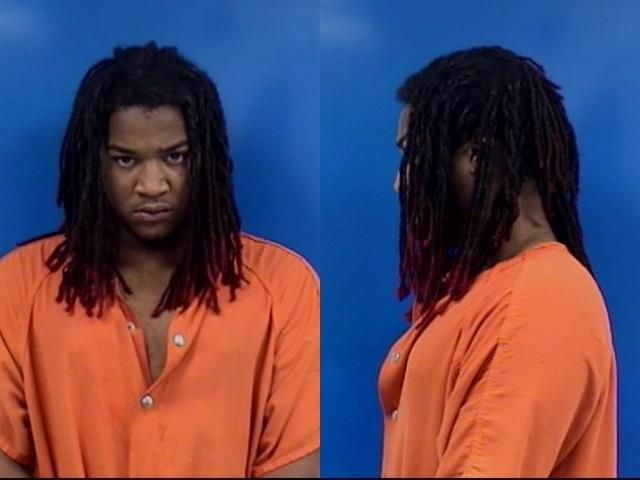 Kyler was placed under arrest and transported to the Calvert County Detention Center where he was charged with CDS: Possession of Paraphernalia. ILLEGAL DRUGS: On July 9, Deputy T. Buckler responded to the Chesapeake Beach Resort and Spa to assist Deputy Beisel with a CDS Violation. They made contact with the suspects, Karla Freeman, 40, and Chandra Staton, 34, who were both heavily under the influence of PCP. Two juvenile females, ages 5 and 3, were laying in bed. Both women were transported to the Calvert County Detention Center and charged with CDS: Possession-Not Marijuana and Neglect of Minor. FAILURE TO STOP AT STOP SIGN, DRIVING ON SUSPENDED LICENSE, DISORDERLY CONDUCT: On July 11, Deputy Pounsberry conducted a traffic stop at the Citgo gas station in North Beach. The driver, Robert Alan Reid, 54, exited the vehicle and began yelling profanities at the officer while searching for something on the driver's side of the vehicle. He refused to give his license or any other information. 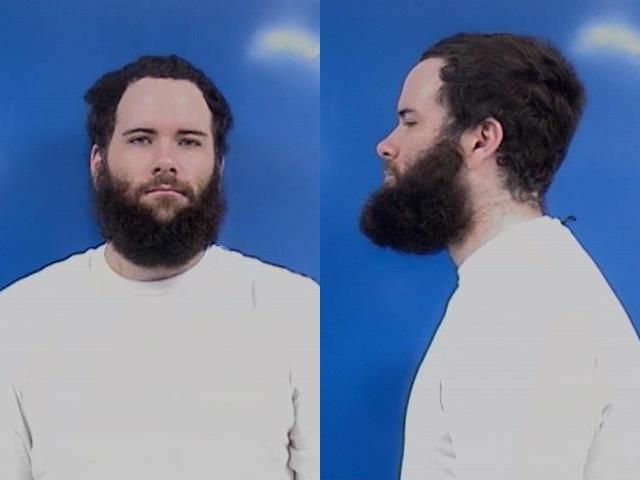 Reid was placed under arrest and transported to the Calvert County Detention Center where he was charged with Failure To Stop at a Stop Sign, Driving on a Suspended License and Disorderly Conduct. TRESPASSING: On July 14, Deputy Rzepkowski responded to Abner's Crab House in Chesapeake Beach for a disorderly subject. Upon his arrival, Deputy Hicks had the disorderly subject, Gina Marie Hodge, 24, in handcuffs. Prior to handcuffing her, Hodge was yelling profanities and was asked to leave multiple times, but refused. She was transported to the Calvert County Detention Center and charged with Disorderly Conduct as well as Trespassing on Private Property. BURGLARY, ASSAULT: On July 18, Deputy Lorenzano responded to Juniper Lane, Huntingtown for the report of an assault. The suspect, Theresa Lyn Schneider, 54, entered the residence through the back door without permission, assaulted the complainant and damaged property inside the residence. The entire time the officers were on scene Schneider was yelling, verbally aggressive and uncooperative. 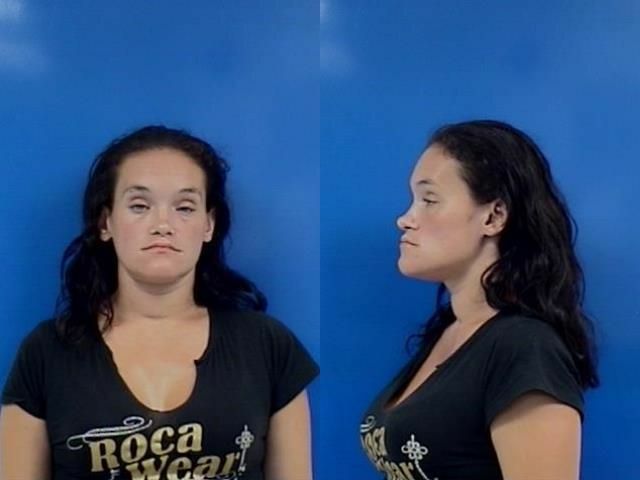 She was placed under arrest and transported to the Calvert County Detention Center where she was charged with First Degree Burglary and Second Degree Assault. BURGLARY, RESISTING: On July 18, Deputy O'Donnell responded to Lake View Drive, Lusby for the report of a house alarm. Upon his arrival he heard sticks and branches breaking behind the residence as if someone was running into the woods. He also noticed damage to the back screen door and a security camera on the ground that had been taken down off the house. Deputy O'Donnell observed a male, later identified as Robert Baldwin, 36, who initially followed commands, but then stood up and ran away towards the water. Baldwin jumped in Lake Charming and swam away from the officers. Deputy R. Evans, Deputy Ostazeski, Trooper McCombs and Trooper Palumbo entered the water and were able to get Baldwin into custody. 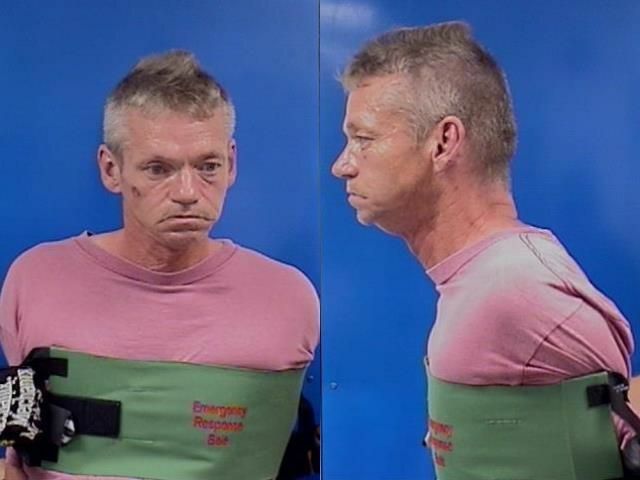 Baldwin was placed under arrest and transported to the Calvert County Detention Center where he was charged with First Degree Burglary, Third Degree Burglary, Fourth Degree Burglary, Assault: Second Degree, Resisting Arrest and Failure to Obey Reasonable/Lawful Order of Law Enforcement Officer. WARRANT, ILLEGAL DRUGS: On July 18, Deputy Gott conducted a traffic stop in the area of Route 4 and Patuxent Point Parkway, Solomons. 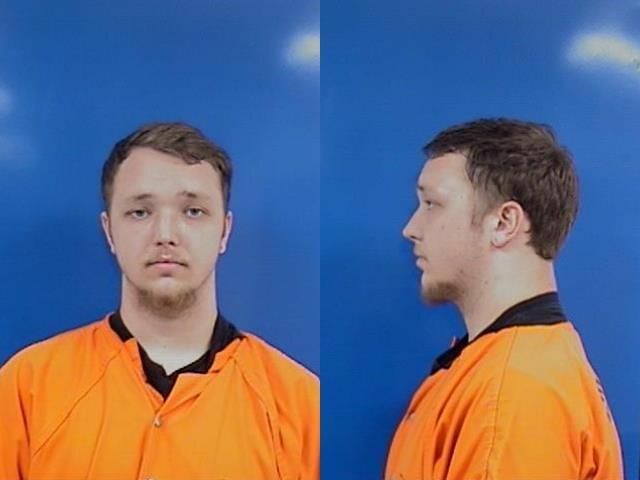 Emergency Communications advised Deputy Gott that one of the passengers, Brandon Ryan Harris, 19, had an active warrant through St. Mary's County. Harris was asked to exit the vehicle when Deputy Gott observed a metal grinder with suspected marijuana between the seat and door jam. Harris admitted it was his grinder. A search of the vehicle revealed a Walmart bag tucked under the passenger seat with 9 unused hypodermic syringes and one used syringe containing suspected heroin residue. The second passenger, Ryan Andrew Murray, 32, admitted to the syringes being his. 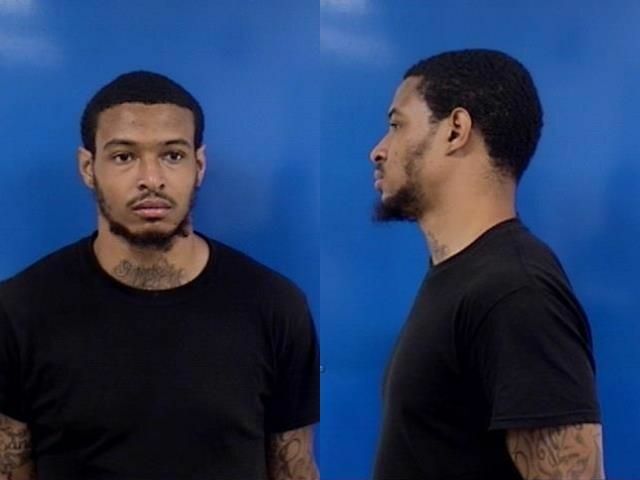 Harris and Murray were placed under arrest and transported to the Calvert County Detention Center. Harris was served his warrant and Murray was charged with CDS: Administer Equipment-Possession/Distribute. ILLEGAL DRUGS: On July 19, Deputy Y. Bortchevsky conducted a traffic stop in the area of E. Chesapeake Beach Road and St. Andrew's Drive, Chesapeake Beach. A search of the vehicle was conducted. A black bag that belonged to one of the passengers, Denzel Christopher Williams, 22, contained his wallet, a plastic baggie with approximately 19.6 grams of suspected marijuana, a digital scale and a metal grinder with suspected marijuana residue. Williams was placed under arrest and transported to the Calvert County Detention Center where he was charged with CDS: Possession of Marijuana>10 Grams. ILLEGAL DRUGS: On July 20, Deputy Sampson conducted a traffic stop in the area of Route 4 at Thomas Hance Excavating, Prince Frederick. While making contact with the driver, John Lee Baxter II, 37, TFC Harrod noticed a plastic baggie of pills sitting in the center console of the vehicle. A search of the vehicle revealed syringes, a metal spoon, multiple cotton swabs with suspected heroin residue, a blue elastic band, and 2 suspected Zubsolv pills. Baxter was placed under arrest and transported to the Calvert County Detention Center. Once at the jail, a search of Baxter's person revealed a plastic baggie of suspected heroin. Baxter was charged with CDS: Possession-Not Marijuana, CDS: Possession of Paraphernalia, and Possessing or Receiving CDS While Confined. DESTRUCTION OF PROPERTY: On July 22, Deputy Yates responded to Clubhouse Drive, Lusby for the report of damaged property. The complainant advised his neighbor's girlfriend, Robin Amanda Suggs, 32, punched through the glass of his bedroom window. Deputy Yates made contact with Suggs who advised she did in fact punch his window because they refused to return her phone to her. 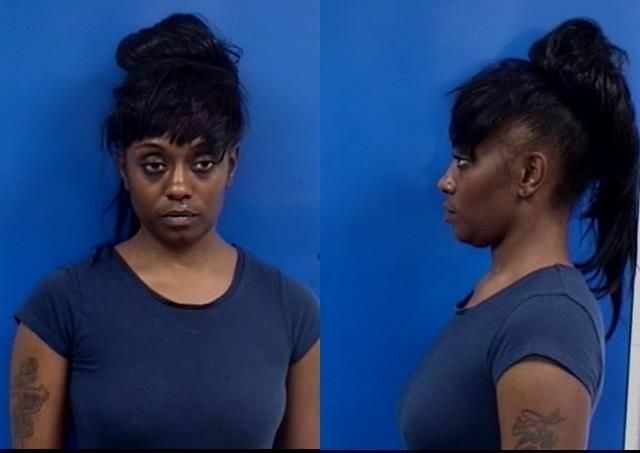 Suggs was placed under arrest and transported to the Calvert County Detention Center where she was charged with Malicious Destruction of Property-Less Than $1,000. ILLEGAL DRUGS: On July 22, Deputy Flynt responded to Boyds Trail, Owings for the report of a trespasser. Eric Thomas Carr, 25, was found laying in the bed of one of the bedrooms in the residence. In the room Deputy Flynt observed six hypodermic syringes, a silver spoon with small pieces of cotton and a glass smoking device. Carr was placed under arrest and transported to the Calvert County Detention Center where he was charged with CDS: Possession of Paraphernalia and CDS: Administer Equipment-Possession/Distribute. ILLEGAL DRUGS: On July 23, Deputy Sampson conducted a traffic stop in the area of Rousby Hall Road and Barreda Drive, Lusby. While making contact with the passenger, later identified as Justin Garrett McLean, 31, Deputy Sampson noticed a pill bottle tucked between his legs. A search of his person resulted in another empty pill bottle in his front pocket and $483. A search of the vehicle revealed a cut straw with suspected CDS residue, another straw still in the protective sleeve, and a green pill container with residue from suspected pills. McLean was transported to the Calvert County Detention Center and charged with CDS: Possession-Not Marijuana, CDS: Possession of Paraphernalia and CDS: Possession with Intent to Distribute Narcotics. WARRANTS: On July 23, Deputy Deleon responded to the area of Planters Wharf Road and Saw Mill Road for the report of damaged property. Upon his arrival he observed two individuals seated inside of a vehicle. A search of the vehicle resulted in a cut straw with white powdery residue in the center console as well as a credit card with a different name on it than the officer was given. Emergency Communications advised that the male passenger, Victor Scottland, 29, had two warrants for his arrest. 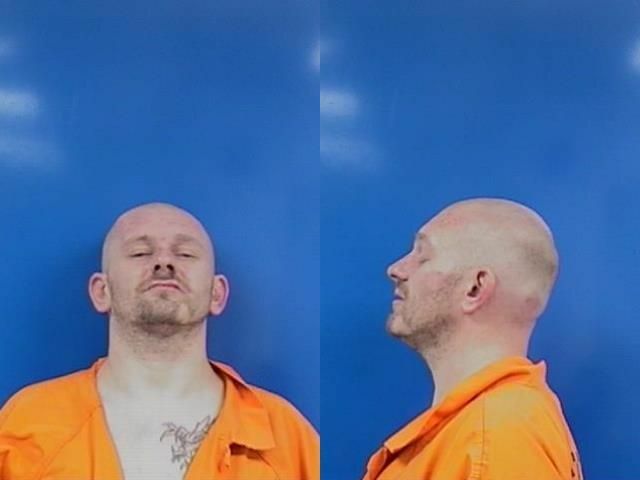 Scottland was placed under arrest and transported to the Calvert County Detention Center where he was charged with CDS: Possession of Paraphernalia, Providing a False Statement to a Police Officer, Obstruction and Hindering, as well as his two active warrants. ILLEGAL DRUGS, NO LICENSE: On July 23, Deputy Pounsberry conducted a traffic stop on E Chesapeake Beach Road and Limerick Lane, Owings. The driver gave his name and date of birth but said he did not have his license on him. Emergency Communications provided Deputy Pounsberry with a photo of the given name which did not match the driver of the vehicle. The driver then identified himself as Tyrone Corde Claggett, 31, and stated he in fact did not have a valid driver's license. A search of the vehicle revealed a folded piece of paper with a white powder substance inside of it. 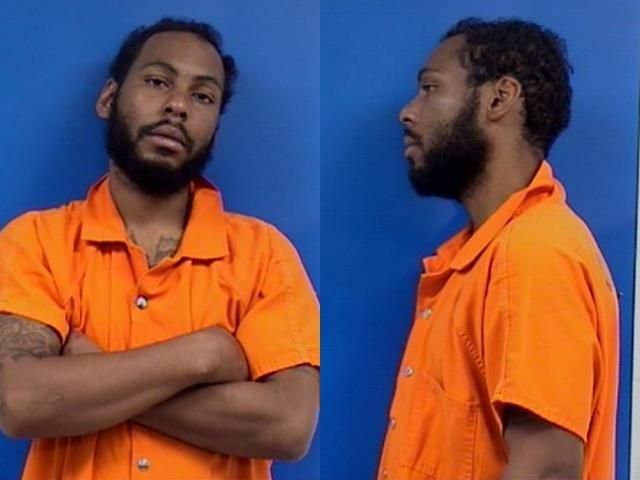 Claggett was placed under arrest and transported to the Calvert County Detention Center where he was charged with CDS: Possession-Not Marijuana, Providing a False Statement to a Police Officer and Driving Without a License. ILLEGAL DRUGS: On July 24, Deputy Bowlan received a complaint at the Rod N Reel, Chesapeake Beach for a female stumbling in the parking lot. 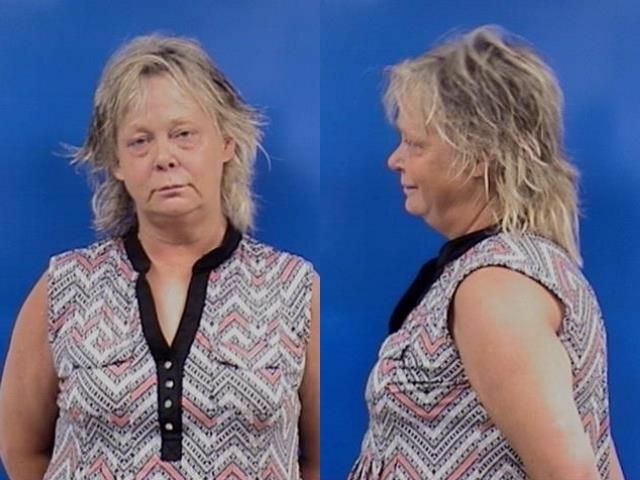 Deputy Bowlan made contact with the subject, identified as Carol Lyn Ortman, 52, who was sitting in the driver's seat of a vehicle with an open beer in the center console. A search of the vehicle revealed a glass smoking pipe with burnt residue and copper strains, as well as crack cocaine and more copper strains in a cigarette pack. 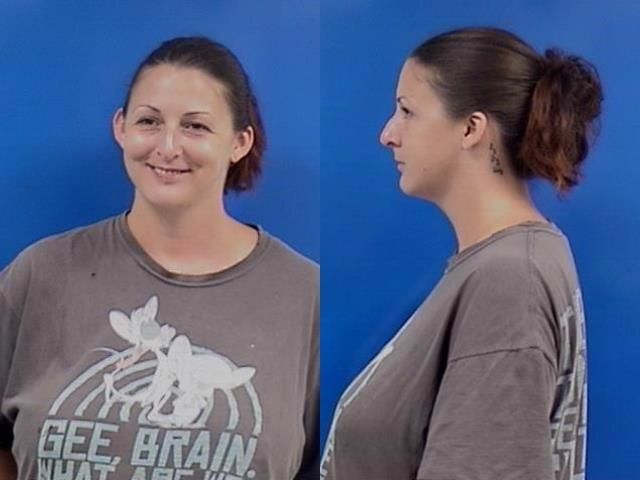 Ortman was placed under arrest and transported to the Calvert County Detention Center where she was charged with CDS: Possession-Not Marijuana and CDS: Possession of Paraphernalia. THEFT: On July 25, Deputy Holt responded to the Exxon in Lusby for the report of a theft. The complainant advised Robert Allen Rice, 51, attempted to steal a bottle of Jim Beam Red Stag but was stopped by another customer. The owner of the property asked that Rice be banned from the property because this was not the first incident with him. The owner of Lusby Liquors contacted Deputy Holt and advised him that Rice had attempted to steal from his business multiple times as well. 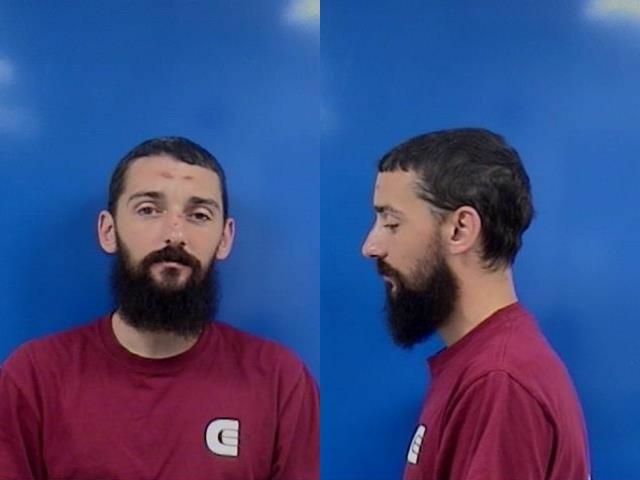 Rice was transported to the Calvert County Detention Center where he was charged with Theft and issued trespass warnings for both the Lusby Exxon and Lusby Liquors. 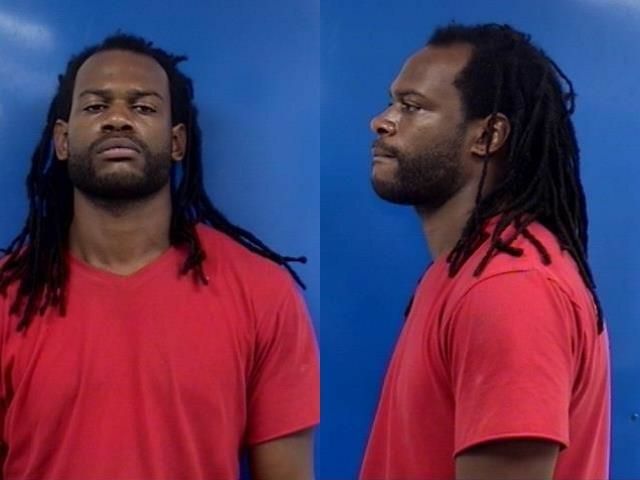 ILLEGAL DRUGS: On July 26, Deputy Idol conducted a traffic stop in the area of Walmart in Prince Frederick. Deputy Ridgely assisted with the stop. A search of the vehicle resulted in 14 Suboxone strips in a purse that belonged to Lorin Megan Somers, 34. 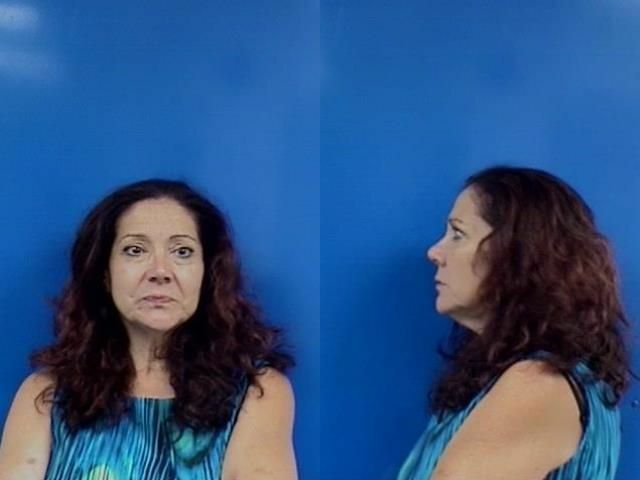 Somers was placed under arrest and transported to the Calvert County Detention Center where she was charged with CDS: Possession-Not Marijuana. TRESPASSING: On July 27, Deputy Kreps responded to Serenity Court, Prince Frederick in reference to a subject trespassing. Tavaughn Anthony Weeks, 25, was asked to leave the property several times, but refused. Weeks was placed under arrest and transported to the Calvert County Detention Center where he was charged with Trespassing. 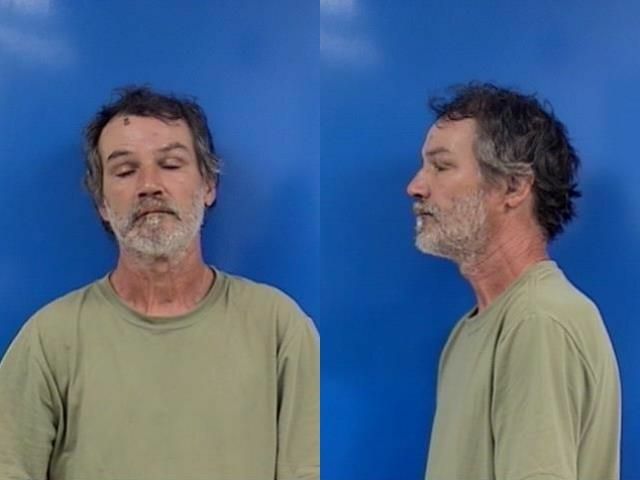 TRESPASSING: On July 27, Deputy Boerum was in the area of Fastop in Lusby when he noticed Robert Allen Rice, 51, on the property. 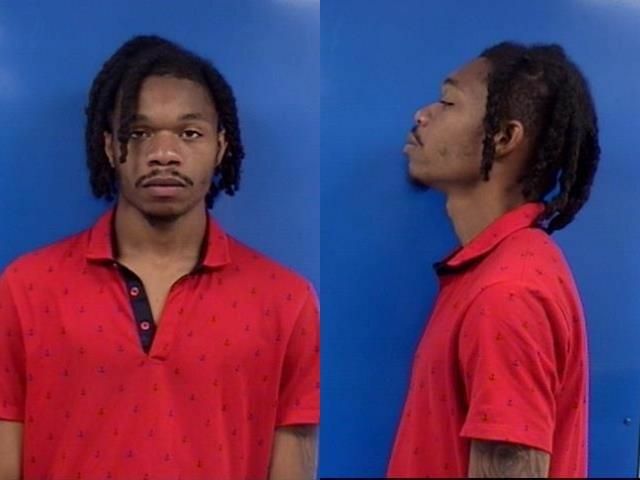 Rice is banned from that Fastop, therefore, he was placed under arrest and transported to the Calvert County Detention Center where he was charged with Trespassing. 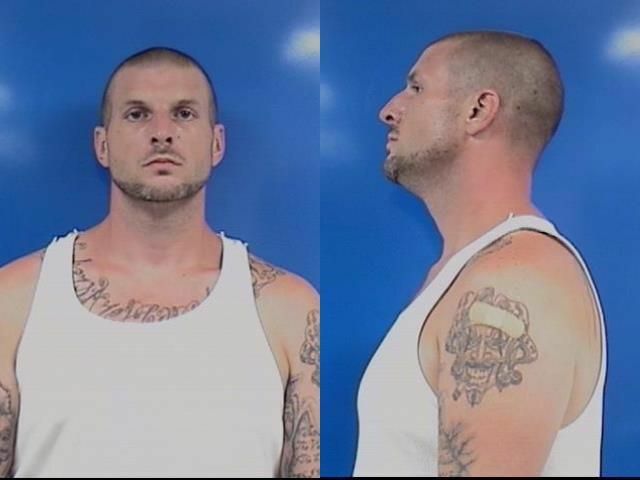 ILLEGAL DRUGS: On July 28, Deputy Rediker conducted a traffic stop in the area of the BB&T Bank in Prince Frederick. While speaking with the driver and passenger, Deputy Rediker noticed a strong odor of marijuana emitting from the vehicle. 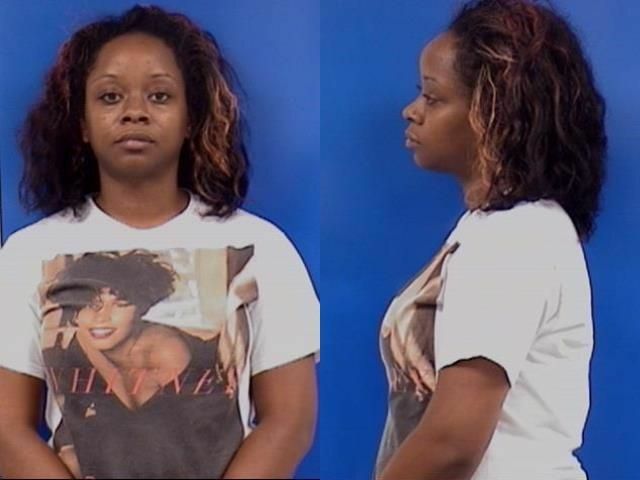 The passenger, Shanita Sherrelle Simms, 31, stated she had marijuana in her fanny pack. A search of her fanny pack revealed a plastic bag with marijuana as well as a plastic bag containing a yellow powder substance which Simms advised was Molly. A search of the vehicle revealed a plastic tube with marijuana, another tube with THC oil, and a scale in the center console. 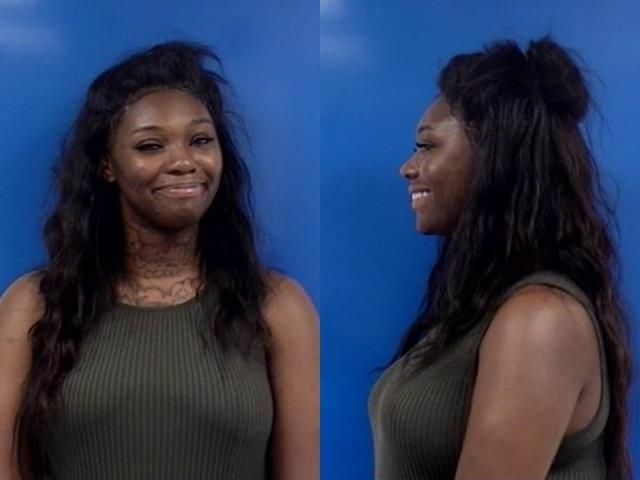 Simms was placed under arrest and transported to the Calvert County Detention Center where she was charged with CDS: Possession-Not Marijuana and CDS: Possession-Marijuana 10+ Grams. ILLEGAL DRUGS: On July 28, Deputy Rzepkowski responded to the Dunkirk Walmart in reference to a check welfare. 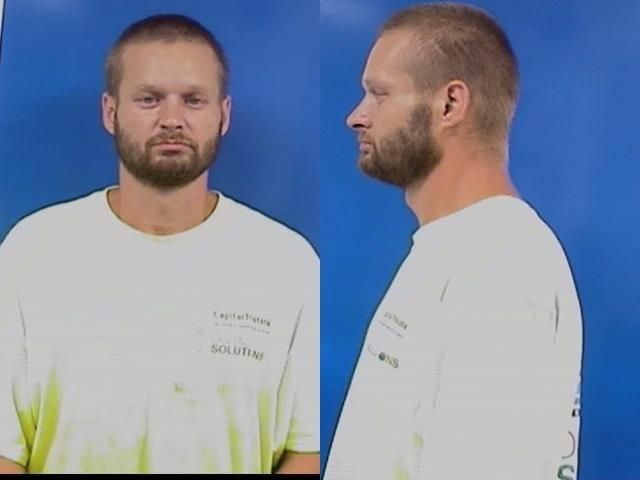 Upon arrival, Deputy Rzepkowski noticed two females attempting to wake up a man, later identified as Charles William Hutchinson, 33, who was passed out behind the wheel of a pickup truck. A search of the vehicle revealed a white folded up piece of paper which contained suspected heroin, a hypodermic needle and a clear bottle cap with a piece of cotton and residue. 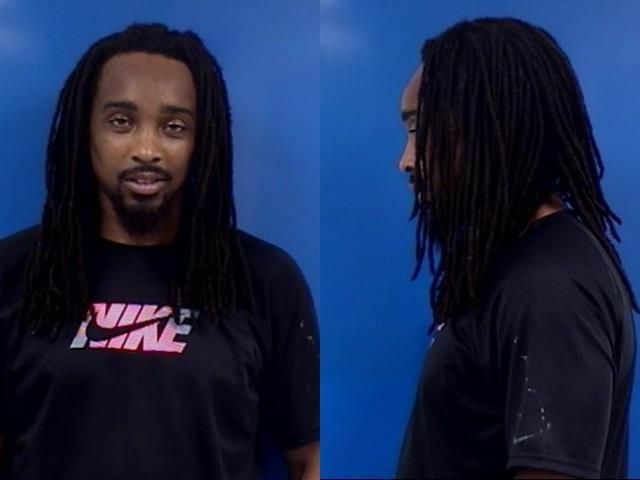 Hutchinson was transported to the Calvert County Detention Center and charged with CDS: Possession-Not Marijuana and CDS: Possession of Paraphernalia. OBSTRUCTING, HINDERING: On July 28, Deputy Mohler responded to the Dash In gas station in Owings for the report of a disorderly subject. Upon his arrival, Deputy Mohler observed a vehicle parked diagonally in two parking spaces and the subject sitting on the curb in front of that vehicle. When asked his name, the subject gave a false first name and repeatedly stated he did not have a last name. After several minutes of the subject refusing to identify himself, he was placed under arrest. His driver's license identified him as Michael Renteria, 57. 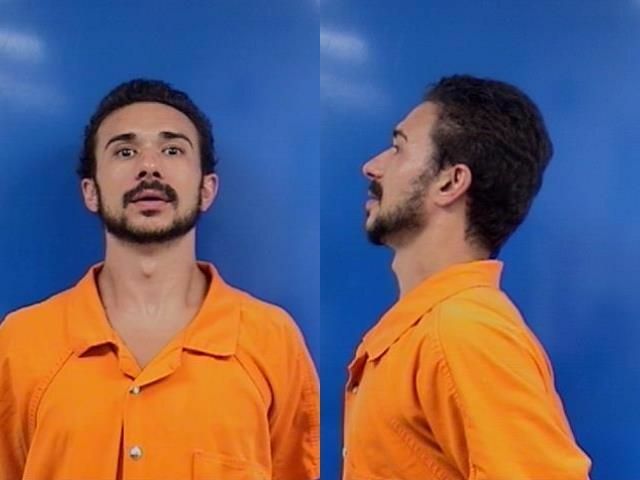 Renteria was transported to the Calvert County Detention Center and charged with Obstructing and Hindering as well as Resisting/Interfering with Arrest. Citizens with information on any of the reported crimes above, or any criminal activity in Calvert County, who wish to report it anonymously can now access the Calvert County Crime Solvers website via so.md/calvertcrimesolvers. Information leading to the arrest and conviction of a suspect could result in a $1,000 reward.